← Poker is a Ponzi scheme? 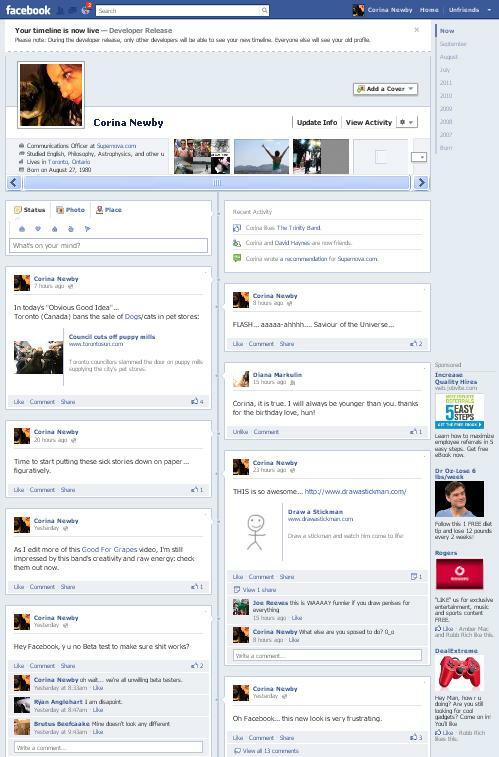 With the F8 announcement today came the unveiling of Facebook’s latest redesign and repurposing… Timeline. 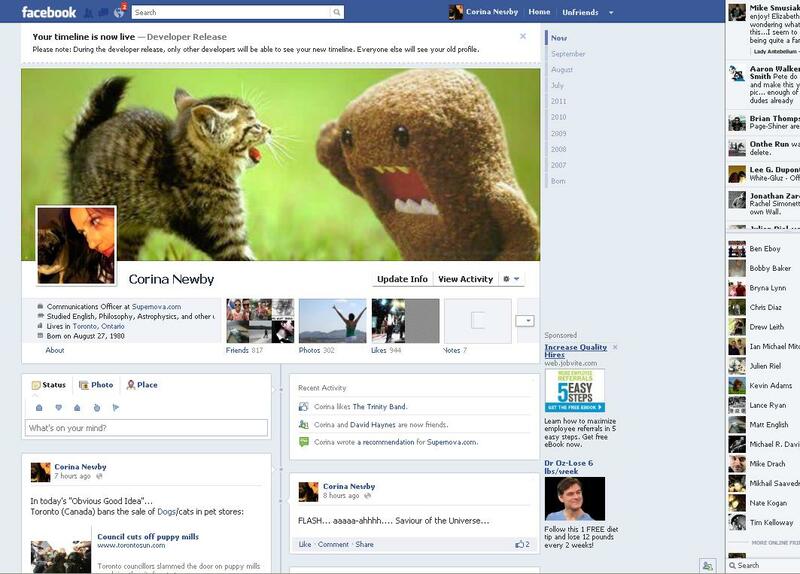 I didn’t want to wait for a Facebook invite, so I found a way to get the Timeline profile now… hopefully this means I’ll have the time to make it look pretty and organized before the public launch (September 29th?) because it looks pretty bad when you first get started. 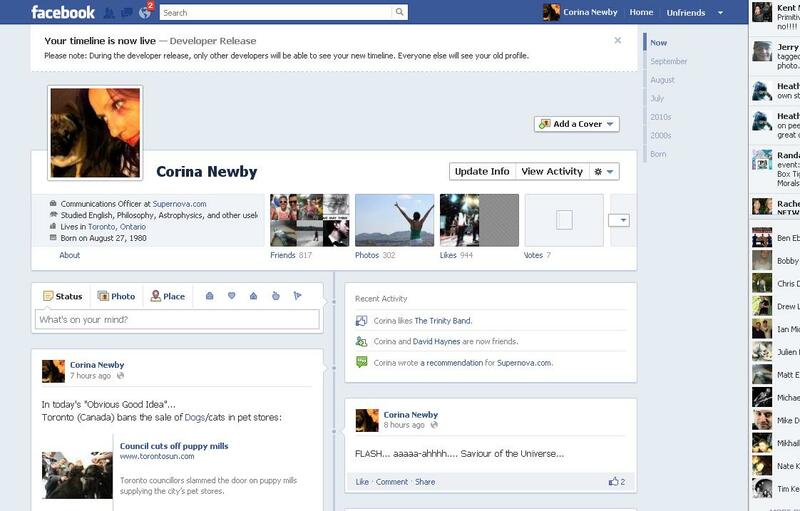 This entry was posted in Uncategorized and tagged corecorina, corina, developer, f8, facebook, facebook profile, facebook timeline, fb, how to, new profile, timeline. Bookmark the permalink. I don’t like half of what they have now, and they took away features that I USED! If they took away Poke, I’ll be righteously pissed.